Anne Heraty is CEO of Cpl Resources plc., a recognised leader in workforce solutions, specialist recruitment, managed services and outsourcing. With an annual turnover in excess of €390 million, the company has over 650 permanent employees. In any one week Cpl also has circa 10,000 temp/contract staff under management in customer sites. Her company has grown through both strong organic growth and strategic acquisitions. Most recently, Anne won the Business & Finance ‘Business Person of the Year 2015’ and her company was ranked as ‘Best Place to Work 2015’ in the large organisation category. 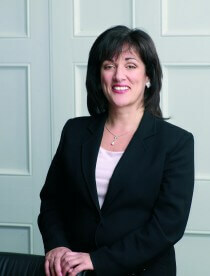 She is the Deputy-President of IBEC and the Chair of The EY Entrepreneur of the Year Awards in Ireland.